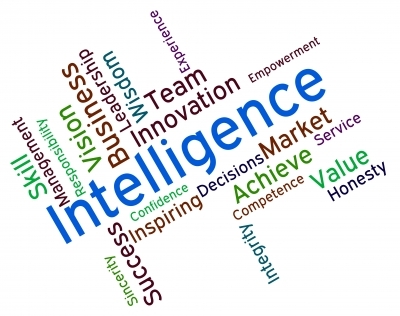 How Does Cultural Intelligence (CQ) Impact A Nonprofit Board? Baby Boomers vs. Millennials: Up to this point in their history, NFP boards have tended to be quite organizationally conservative, but this may be changing rapidly. One of the most prominent developments is the influence of the millennials, those born rough between 1980 and the turn of the new century. The new cohorts tend to have cultural values that are quite different from those their parent or grandparents. Entrepreneurs vs. Public Service Backgrounds: Persons with public service backgrounds tend to move slowly in bringing about change. For example, the challenge of developing consensus among city council members can be daunting. In contrast, an entrepreneur must be able to pivot his/h organization quickly from plan A to plan B. Consequently, “processing” takes precedent over “pivoting” when NFP organizational change is proposed. These two board types bring different tempos to board discussions. If the gap is left unresolved, the entrepreneur may leave and a valuable voice is lost. Unfortunately, in my experience, I have met too many entrepreneurs who simply refuse to accept nonprofit board positions because of this discrepancy. Board chairs and EDs should develop a realistic inventory of the types of CQs on their board to be certain that one style is does not dominate. With the continual turnover of board membership and with annually changing board chairs, the ED needs to assume long-term responsibility for the inventory. It probably is not possible to develop a perfect balance of cultural norms. As a result, the chair and ED must make sure that those who have “minority CQs,” such as the entrepreneur described above, feel that their participation is meaningful and appreciated. Never underestimate the impact of culture and its various CQ components. The dominant legacy culture, especially with successful nonprofits, must be widely accepted. But it also should be reviewed occasionally to make certain that the board is not simply accepting it at face value. The impacts must be robust performance for all clients, along with innovative and operational effectiveness. Assessing directors’ CQ categories can be a challenge for many chairs and EDs. These categories often do not fit into discrete groupings like age and educational levels. But practice with them over time should be helpful. They allow chairs and EDs to better retain those productive outliers whose CQs may not fit the traditional legacy culture. 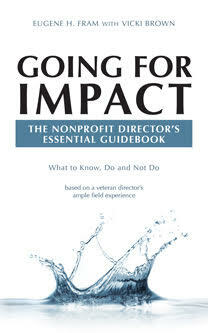 ← Should Nonprofit Boards Be A Boot Camp for Corporate Executives?